Konstantin was just three years old when his mother took him to a violin recital in a small town and he was so deeply touched by the mesmerising sounds of the musical instrument that he asked her to buy him one. He was sent to a music school in the city of Prokopyevsk (Kemerova Oblast, Siberia), and after graduation, enrolled at Barnaul Music School. Later in Novosibirsk he trained with People’s Artist of Russia professor Zakhar Bron, whose students include such outstanding violinists as Vadim Repin and Maxim Vengerov. He continued his studies at The Gnessin State Musical College before entering the Gnessin Russian Academy of Music. His unique understanding of music, his sensitivity and delivery will rouse your emotions. 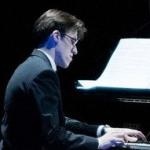 He fuels his own passion for new-age and neoclassical music by composing in the same genre for piano. Mikhail Kofanov – Piano. 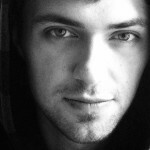 A multiple award winner at international competitions, Mikhail was born in Tula to a family of musicians. He graduated from music school and college with a “red diploma” (honours). He studied piano with Bertha Marantz and later shone at the Gnessin Russian Academy of Music under tutelage of Marina Anatolyevna Drozdova, legendary pupil of Maria Yudina. He came across tango quite by chance and was totally entranced. He immersed himself in the tango style of exceptional pianists of the Golden Age, in order to emulate the very best of the trend. 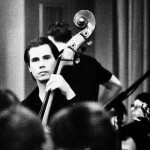 Eugene Kozlov – Contrabass. Evgeny possesses a musical charisma that makes his performance especially colourful. Born to a musical family, he was surrounded by music from birth. Educated both at the Gnessin Russian Academy of Music and State Classical Academy named after Maimonides, he perfectly mastered double bass, bass guitar and baby bass, whilst specialising in Latin American music. He enjoys a long relationship with tango, which has taken him to numerous festivals and concerts on the best stages at home and abroad. Born in the Amur region, Dmitry he headed for the capital with a burning desire to go to the Gnessin State Musical College. This he did and for four years he studied under Honoured Worker of Culture Yuri Ivanovich Bubentsov. In 2003 Dmitry graduated with honours andentered the Gnessin Russian Academy of Music to train under People’s Artist of Russia professor Yuri Petrovich Dranga. 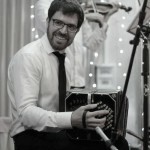 On graduating again with honours, in 2008 he started a post graduate course with professor Dranga and continued on his path to the Argentinian capital of Buenos Aires, where he acquired his first bandoneon, a Doble A made by Alfred Arnold – the same model that Piazzolla played. From that moment Dmitry’s life took a new musical turn – an unusual one in Russia, with a challenging instrument to master but one which opened new opportunities for performing and creating the sound of tango music. In 2011 the efforts of Dmitry and his friends combined to form a new team called Pasional.